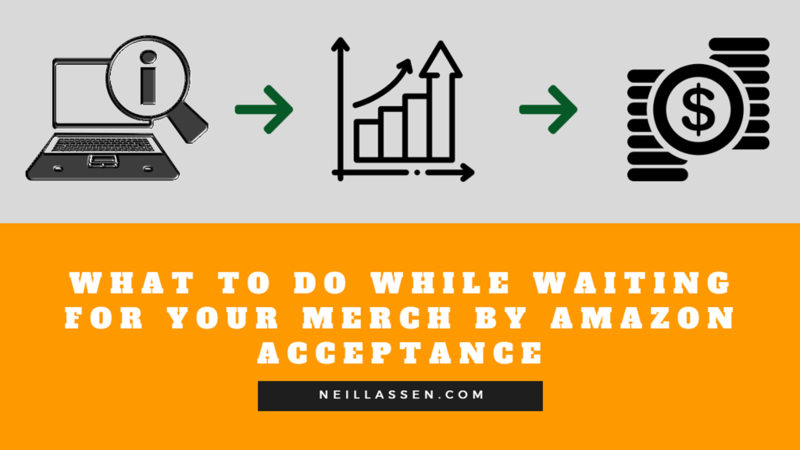 No matter if you landed on this article because you recently read by in depth overview on the Merch by Amazon program, or just stumbled on here from Google or from anyone linking to this page, you are more than likely waiting for your invite to the Merch platform. The fact that you are sitting there and NOT doing absolutely nothing is why I think you might succeed selling shirts on Amazon. I cannot tell you how many times I have seen people wait and wait and when they get finally accepted they ask “…now what?”. Not only will they more than likely fail, but if they are not able to look up the answers to their questions, they are going to be fighting a losing battle. 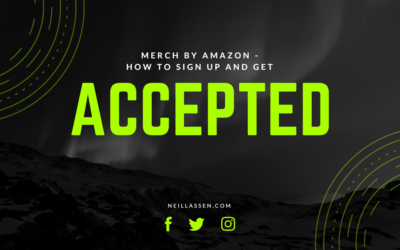 So before you get your Merch by Amazon invite, you want to get going and growing right? Good! Every new account on the Merch by Amazon platform gets 10 slots. This does not seem like much at all, but your goal is to get out of these lower tiers as FAST as humanly possible. This means you want to fill them up, and make 10 sales quickly. The higher tier you are, the more slots available you have to fill with shirt designs, and the more money you can make. Making 10 sales sounds pretty easy right? It is, and it isn’t. If you have never actually sold merchandise on the internet, you might be in for a rude awakening. If you have, well then it really is easy if you understand how to research, optimize, and put up awesome designs. Below are my suggestions for someone who wants to actually get to work before their Merch account gets approved. There are two ways to go about getting designs to put up on your account once it is approved. You can either start designing your own t-shirt designs, OR you can start outsourcing to designs. Designing your own shirt designs is going to be quicker and easier to get started because it requires NO money and only your time and attention. While this may be easier to start, it will be people who learn how to properly outsource designs and grow a team that will overtake anyone who refuses to let their business grow. I HIGHLY recommend trying out both angles, but at the end of the day, you need high quality designs as these will always outsell the sub par designs that people are putting out. If you spend a few minutes over on Amazon.com looking around at different shirts, it becomes pretty apparent that people are putting forth sub par effort. This might work now, but I can 100% assure you that putting forth effort, learning to outsource and placing amazing graphic designs on Amazon will put you so far ahead of the competition, you will be making money for years to come. NOTE: One of the biggest things you can do to make your designs have that extra “grunge” effect that seems to sell incredibly well is give them a distressed texture. I would highly recommend checking out a tutorial video such as this one in order to do that. This can mean the difference between making a sale, and getting passed on by. The entire goal when building out a POD or print on demand business should NOT be to just sell on Amazon. This is a single marketplace out of many, and if you focus just on a single marketplace, you are going to be leaving money on the table. Merch by Amazon might be the newest print on demand platform for t-shirt designers, but it is clearly not the first, and not reinventing the wheel here. While you wait for an invite, you can take some of the designs you created in the first step, and start making money from them NOW on other platforms. Let’s be honest, the reason you are reading this and creating designs in the first place is to make more money. I know it, you know it, and no one is debating this fact. The royalties on each sale ARE lower on these other platforms, but I can promise you that they will add up. I know plenty of people who forgot they uploaded shirts on some of these other platforms and at the end of the year when they are doing their taxes, they are shocked to see they made an extra $5,000 that year from a single platform. Multiply that by several platforms, and it starts to turn into serious money REALLY quick! Aside from making extra money, the biggest two reasons for uploading to other print on demand services is that you will gain experience in WHAT sells, and learn to deal with customers. Learning what sells is going to soon become your bread and butter of this entire business. Making a sale is great, but you will not make any sales if you do not identify where the markets are where there are buyers, but also where the competition is low enough where you can get seen with an excellent product. When you finally make your first sales, you will know that your research is actually working, and that you supplied a niche with something that they wanted. This feedback is important for growing your business. One of my biggest pieces of advice I can give is that if you are making sales (no matter the platform), double down on that niche because you have struck a chord with these buyers. If you can give them more unique designs in that niche then you should make more money because you found a niche where you know there is demand for your product. The second thing is that it teaches you to learn how to deal with customers. Now, honestly, most of these PODs I will list will NOT teach you this one, but I threw this into this article for one reason: Etsy + Printful integration. This integration accounts for hundreds of thousands of dollars between some of the friends I have met through this industry in Q4 ALONE. There is a lot of money to be made, but it can also be extremely frustrating dealing with customers. You will need to do this on Etsy, but once you learn to deal with your customers, Merch by Amazon will be the biggest sigh of relief when you are accepted as you do NOT have to do that there! Both Teepublic and Redbubble are based on a royalty structure where you will post your designs and get paid a royalty each time a design sellers. This is exactly like Merch by Amazon. Etsy is different where you will be in charge of customer service, but the Printful integration makes it incredibly easy. Every platform is going to pay a different royalty based on a million different factors. I would always recommend taking a look at what other people are pricing, and price accordingly. You don’t want to be the cheapest tool in the shed, but you certainly do not want to price yourself out of the market. NOTE: Teepublic has the EASIEST uploader in the history of POD (print on demand) websites. Not only is it incredibly to use, but it will probably slowly make you despise other platforms for not using the same up loader. 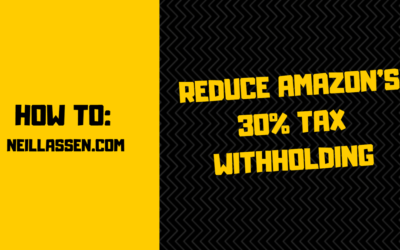 Starting your own website has so many advantages of being a Merch by Amazon seller, but it actually fits in PERFECTLY with selling your designs on Amazon. You see, when you’re selling on Amazon, you can make amazing money, but you do not “own” the customer. You do not get their email, you do not get their name, and you certainly are not given access to talk to them at all. This makes it incredibly difficult to build an actual full business around. However, it is the perfect spot to not only stack money, but grab sales in order to build out a brand down the line. So other than customer data (which is the big one here), why else should you start a website? Well, two things that people often do not think of is that you can actually help rank your products higher in Amazon by running traffic through your own website, but also that it offers you some form of copyright protection from anyone who might want to try and take down your designs. When it comes to ranking your products higher in Amazon, it really comes down to how many sales they get, how well the product is optimized, and how many people land on that page actually BUY that product. If you own a website, you can direct only the people that you are sure want to buy to the pages on Amazon. Those back links help rank the product page on Amazon higher in Google, but those extra sales you are driving, will help your product rank higher as well. These higher rankings will lead to more sales, and thus more money in your pocket! Merch by Amazon is all about getting in front of the customer, and this is the perfect way to do that. When it comes to copyright protection, you want to make sure your artwork is protected. If you have your own website where all of your designs are put up before they hit any POD platforms, then you will easily be able to provide a link to your own website to any of these platforms to get people taken down that are trying to copycat your designs. Pretty slick right? When you have your own website, you can make so much more money than relying on another platform it is not even funny. An email address is worth more than its weight in gold because you can build an audience of people interested in your stuff and sell to them time and time again. Not only that, but if people are visiting your website, they are clearly interested in the goods yuo are selling. This means you can actually follow them around the internet with ads until they buy something from you! This is called re-targeting and one of the reasons after you have been on “website X”, you start seeing ads over every website you visit for “X” product. You can do this too, and it works! NOTE: Selling shirts on your own site is REALLY easy as long as you are set up with an external POD (print on demand) service such as Printful. If you are ready to actually get to work, build a business, and create a nice cash flow, then you need to actually get to it and get to work! If you read this article and take no action, you will be in the same exact position when you possibly get accepted to Merch by Amazon and be completely lost. There are so many opportunities to make money online via selling T-Shirts, so get to it! You will need LOTS of practice in order to start doing research properly, making sales, and really getting the passive income machine rolling. All of this requires time and effort so you will want to set a goal, and get to work. 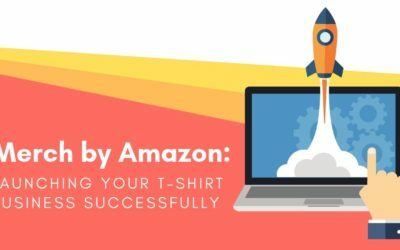 Merch by Amazon will come in due time, but for now, start becoming a t-shirt seller today by… putting your first shirt online!